A scheme to bring empty homes in North Lanarkshire back into use is continuing to go from strength to strength. The council has spent over £5m in the last four years to enable it to add 88 such properties to its portfolio. The scheme involves the council buying long term privately owned empty houses and flats, refurbishing them and renting them out to tenants. The homes are identified in areas where the council has a need for additional housing or where purchasing a property will enable the council to take complete ownership of blocks of flats making communal repairs much easier to complete. Empty homes officer Catriona Arbuckle said: “The scheme has been a real success so far and we’ve had some really positive feedback from local people, elected members and our tenants. “There are a number of vacant private properties that are often in serious disrepair which cause concerns within our communities. “Wherever possible, and if they are in areas of high council house demand, we try to engage with owners and see if they would be interested in the council buying back their property. “With a budget of £1 million per year, the scheme has had some great successes and can make a real difference to streets and towns across North Lanarkshire. 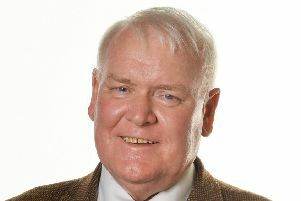 Enterprise and Housing convener Councillor Allan Graham added: “There is a huge demand for affordable housing across North Lanarkshire and it’s vital we look at different ways of increasing the supply of homes for our tenants. Owners of empty properties interested in the scheme should call the Private Sector Housing team on 01698 274105.